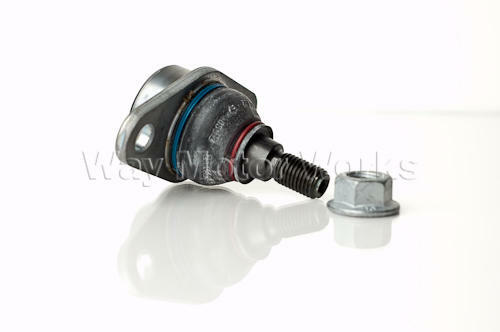 MINI OEM Front outer ball joint for R50, R52, and R53 cooper and cooper S. These outer ball joints connect the front control arm to the spindle. We've found that track and autoX use can wear these out. Also the heat from the brakes can bake the rubber boot, causing them to crack and leak the grease. Leading to failure. If your doing suspension work get these for cheap insurance. Kit comes with 1 joint.